What Rick Perry has in common with Clarence Thomas. For the past generation, if you wanted to understand the legal philosophy of the leading Republican presidential contenders, the best person to look to was Antonin Scalia. And, on the surface, that would appear to be true again this year. After all, the current Republican front-runner, Rick Perry, has plenty in common with Scalia—namely, a professed aversion to judges who legislate from the bench or broadly interpret the Constitution. But, once you read Perry’s manifesto, Fed Up! Our Fight to Save America from Washington, it’s hard to avoid the conclusion that Perry represents a sharp break from the recent tradition of Republican presidential candidates when it comes to constitutional issues. In fact, Perry’s ideas about the law are so outside the mainstream of judicial thought that they cannot really be said to align with Scalia’s views. Instead, Perry’s legal proposals place him much closer to someone with a very different set of constitutional ideas: Clarence Thomas. 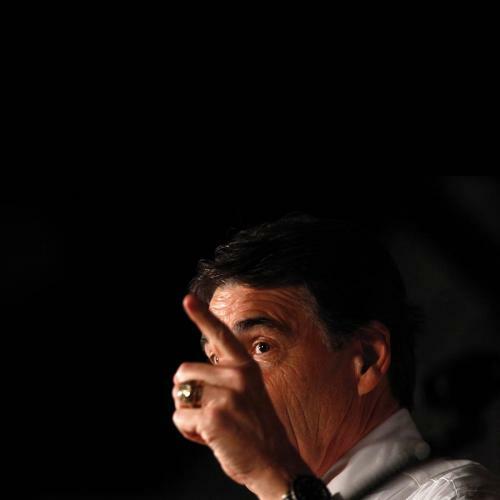 OF COURSE, REFERRING to Perry’s constitutional vision may be something of a misnomer. He acknowledges that Fed Up! was written with the assistance of Chip Roy, “an outstanding legal scholar who previously served as senior advisor to the U.S. Senator John Cornyn in his Senate leadership office and on the Senate Judiciary Committee.” And, in an interview with Newsweek last fall, Perry seemed to possess a shaky grasp of the constitutional arguments featured in his book. When asked to elaborate on why the Seventeenth Amendment should be repealed and why the “general welfare” clause of the Constitution didn’t authorize Congress to pass Social Security and Medicare, he responded with evasions and then silence. Still, Fed Up! is unusual among presidential candidate manifestos for the intensity of its focus on constitutional issues. And, though his campaign has tried to distance Perry from the book, there can be little doubt about Perry’s commitment to pursuing its agenda: He is donating all profits from the book to the Texas Public Policy Foundation to support its Center for Tenth Amendment Studies, an organization devoted to challenging the constitutionality of the regulatory state. Laws and government programs that Perry is “fed up” with include federal criminal laws, environmental regulations arising from the Clean Air Act, No Child Left Behind, Social Security, Medicare, congressional earmarks, the federal tax code, and the Department of Homeland Security. It’s not surprising that Perry would oppose these actions on policy grounds, but he goes much further, making the drastic argument that all but the last two of these initiatives are unconstitutional. He reaches this conclusion mostly by arguing that the Supreme Court wrongly held in the 1942 case Wickard v. Filburn that Congress can regulate any activity that has a remote connection to the exchange of goods. On the current Court, only Thomas holds this belief; Perry excoriates Scalia for affirming that Wickard was correctly decided. Thomas’s legal philosophy combines crusading social conservatism, an implacable hostility to federal power, and a willingness to overturn more than 50 years of jurisprudence undergirding laws he believes are unconstitutional. (Scalia has pointed out that, unlike himself, Thomas “does not believe in stare decisis, period.”) This description could equally be applied to Perry, who ridicules not only Roe v. Wade but also Griswold v. Connecticut, the 1965 decision recognizing the right of married couples to use contraceptives. (In their confirmation hearings, both John Roberts and Samuel Alito expressed support for Griswold.) Perry also endorses the Tea Party axiom, championed only by Thomas, that the original intent of the First Amendment’s ban on the establishment of religion was to prevent the creation of a national church, not to disestablish state churches. Perry’s constitutional vision blooms into full nuttiness in the concluding chapter, which offers a blueprint for the resurrection of states’ rights. He endorses the repeal of the Sixteenth Amendment, which authorized the federal income tax, and a constitutional amendment endorsed by Robert Bork that would allow Congress to override the Supreme Court by a two-thirds vote in the House and Senate. Previous Republican presidential candidates, from Ronald Reagan to George W. Bush, have thrown some rhetorical bones to the legal far right; but, until now, no serious Republican presidential candidate has embraced a constitutional vision quite like this. The fact that Perry is leading the Republican pack shows just how close the GOP is to leaping off the constitutional deep end. Jeffrey Rosen is legal affairs editor of The New Republic. 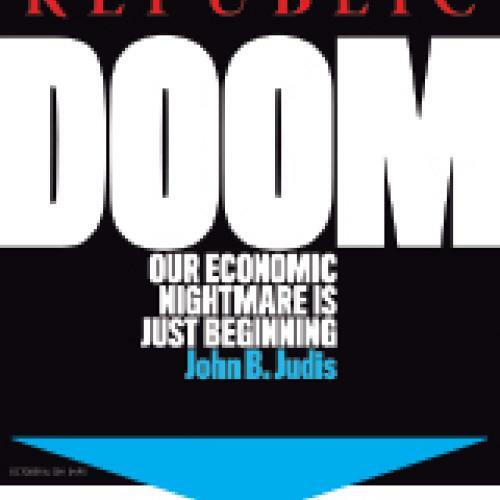 This article appeared in the October 6, 2011, issue of the magazine.